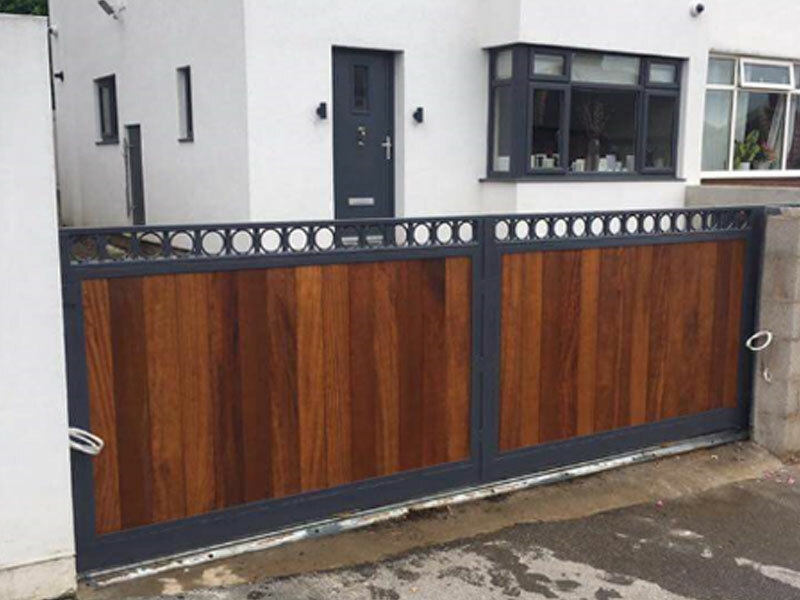 Adfabs Automated Gates offer a wide range of timber clad or composite clad security gates which are fabricated from a box section or flat bar steel outer frame to provide the strength and an exceptional look. The frame is then fully galvanised to prevent rusting and is then powder coated to provide a quality, durable finish. 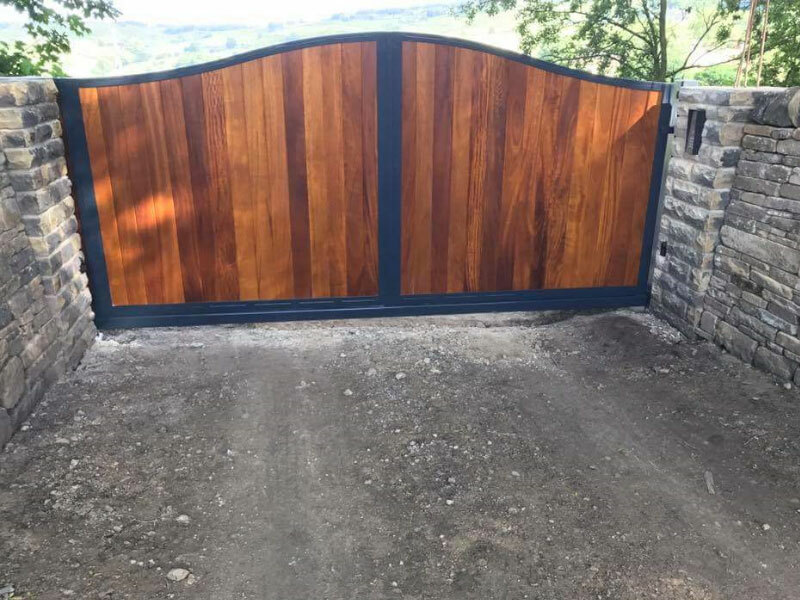 On all of our timber clad gates we will only use timber which will last the British outdoors. Iroko, Cedar, Sapele and Accoya. We can then either stain your timber or paint your timber to match windows and garage doors. We only use 2 different types of composite clad which comes in a variety of colours. 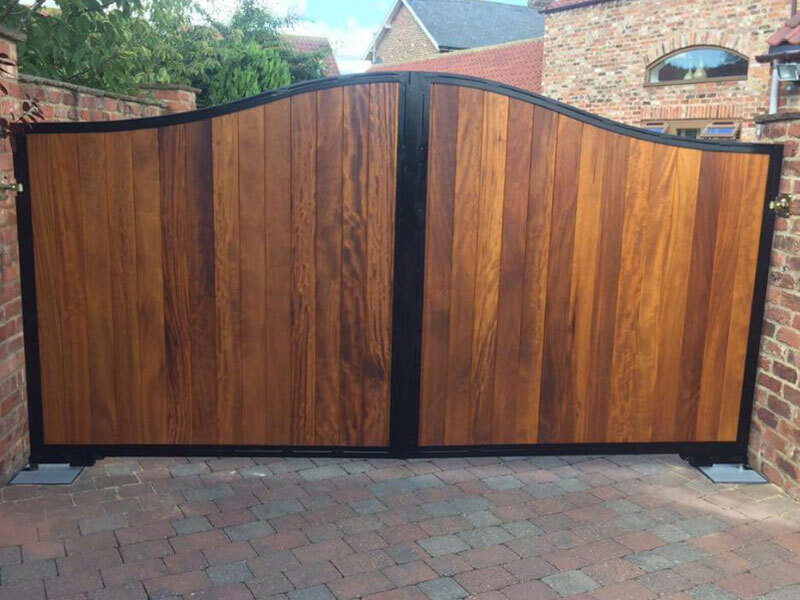 The massive benefits of composite clad electric gates are there is no upkeep needed unlike natural timber. The composite boards will not need re-staining or re-painted and will not swell or rot. Adfabs Engineering is based in West Yorkshire, serving the entire region as far afield as Knaresborough and Harrogate. Our keen attention to detail and quality has made us one of the leading companies in our market. With a free design and consultation, all our jobs consist of a full design installation service. E-mail us today info@adfabs.co.uk or call us on 01274 307117 for a free guidance to get started designing the electric gates to meet your requirements.